Dogs use their entire body, from ears to tail, to communicate with other dogs, and with people too! 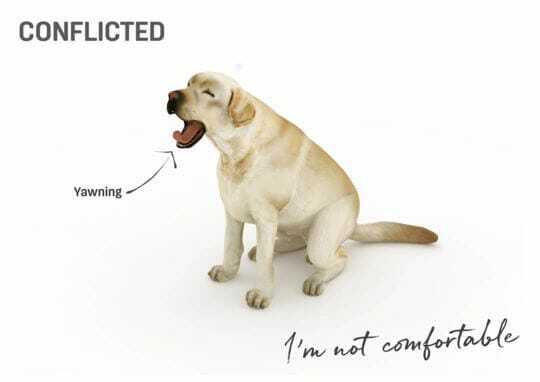 They tell us when they’re happy and relaxed, but also when they feel nervous or uncomfortable. You probably think that your dog is very expressive and that the two of you understand each other very well. 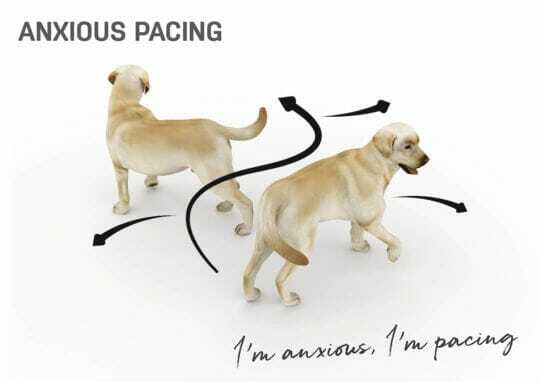 That’s absolutely true, but in some cases, dog body language can be a bit tricky to decipher. Also sometimes, we may interpret what our dog is saying the wrong way. 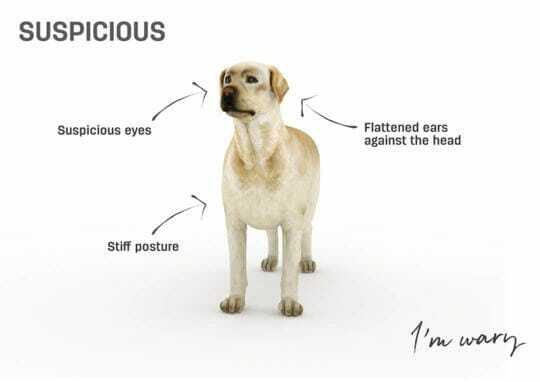 Decoding requires some practice, to learn to read your dog body language. Read our tips to become an expert. This invitation to play can also be accompanied by excited barking, and occasionally a nip for dogs who haven’t been well trained around people. This can happen when dogs are not sure what will happen next (are you going out alone? are you taking the dog out?) so the yawning is a way to calm down. Your dog means: “I feel something strange is happening and I’m wondering what it is. I’m not relaxed at all, I need to determine if there is any threat or if any action should be taken. Give me some time to work things out, and please do not touch me as it may startle me and make me react defensively”. 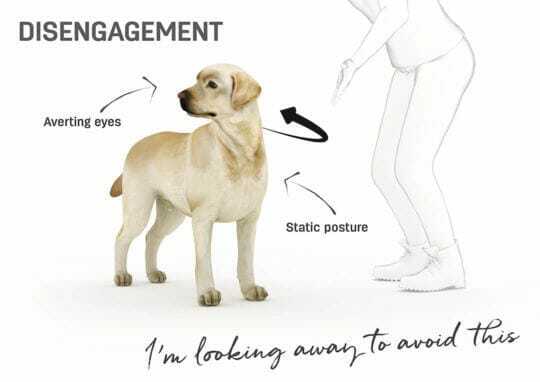 Your dog is warning you: “I know you’re there, but I’m asking you not to approach me. Please do not insist, I’m not pleased to be here at the moment”. 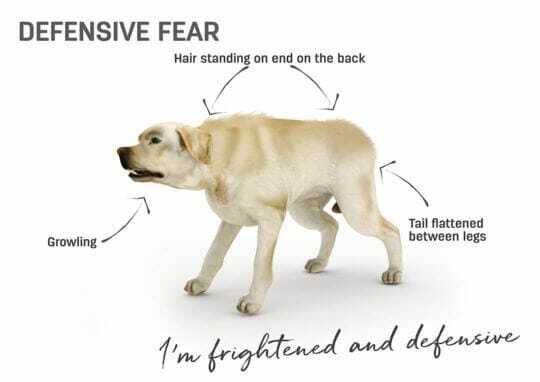 Your dog is scared, and needs your help! “Oh no… If only I could disappear. Please do not try to touch me or comfort me, I’m too afraid to welcome any interaction at the moment. Your attitude towards this scary situation will reassure and comfort me“. 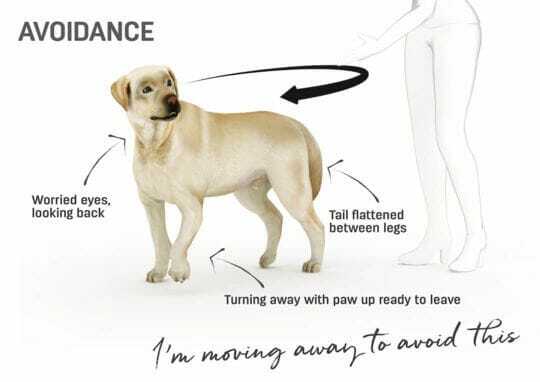 Clear warning signs: “Sudden movements or noises can make me bark or retreat under a table or sofa, to try to feel safe. 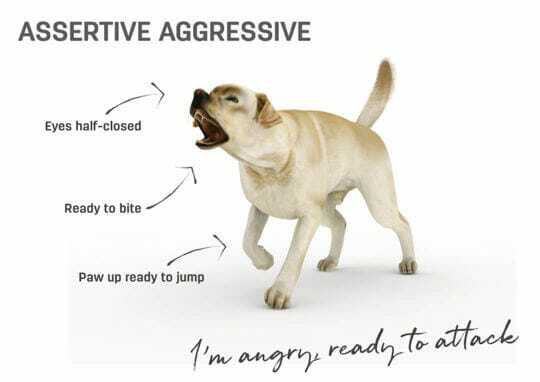 But if you insist on being with me and approach, I may become aggressive (through fear) and bite. 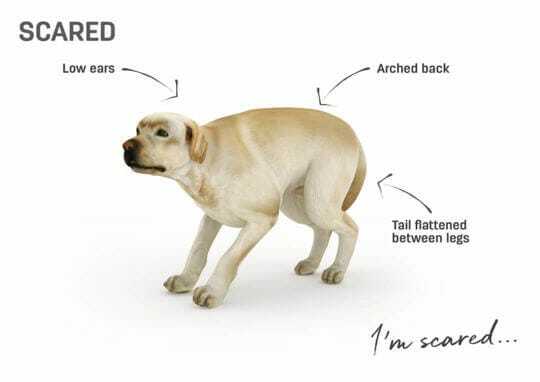 So be careful, and do NOT approach or make sudden movements around a dog in such a state.